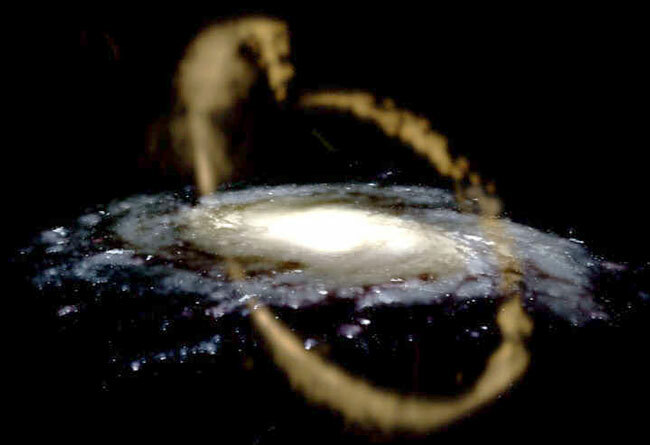 Explanation: Is our Milky Way Galaxy out to lunch? Recent wide field images and analyses now indicate that our home galaxy is actually still in the process of devouring one of its closer satellite neighbours. 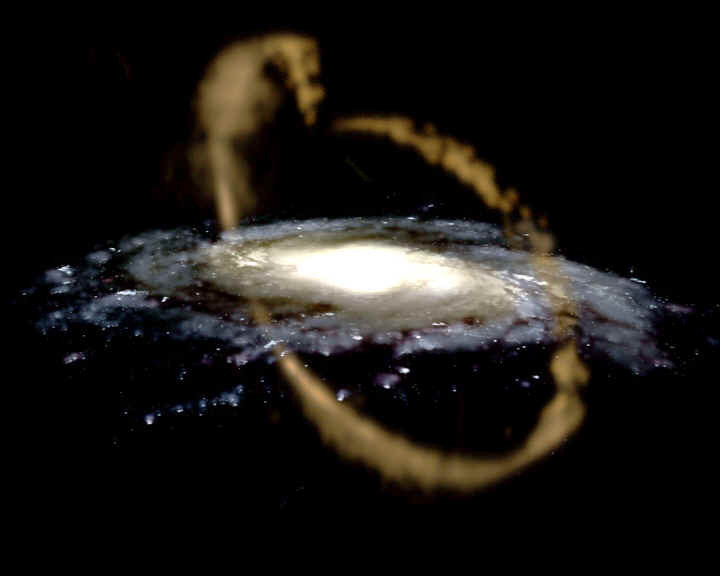 This unfortunate neighbour, the Sagittarius Dwarf galaxy, is now seen to be part of a larger Sagittarius Tidal Stream, a loose filament of stars, gas, and possibly dark matter that entangles the Milky Way. An artist's depiction of the stream is shown above. Speculation also holds that the Sagittarius Dwarf was once pulled through the Milky Way disk very close to our Sun's current location. An important resulting realization is that galaxies contain a jumble of clumps and filaments of both dim and dark matter.